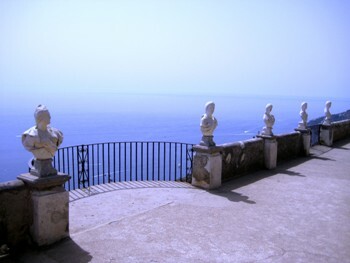 Historical Villa enjoying a breathtaking view on the Amalfi Coast. This ancient venue was once residence of kings, of lords and famous actors. The villa is surrounded by a beautiful garden overlooking the sea with grottos, fountains, statues, temples and botanical rarities, rose gardens. Weddings can be organized on the wonderful terrace overlooking the sea or in a beautiful temple in the garden.